No one can deny a great deal, and one of the best times to get the ultimate bargains arrives early in the holiday season. It’s the day after Thanksgiving Day, or Black Friday, and it is one of the biggest shopping days of the year. In fact, nearly 70% of people went shopping - either in-store or online - over Thanksgiving weekend last year. Merchants open their doors long before sunrise - sometimes as early as 12 am - slashing prices on both small and big-ticket items. In response, millions of consumers flock to their stores or websites to take advantage of the sales and get a jump start on their holiday shopping. But although Black Friday has traditionally marked the unofficial beginning of the Christmas season, its origins are not as joyous. The term ‘Black Friday’ wasn’t always associated with shopping or the holidays. It was actually used to mark the day the U.S. gold market crashed on September 24, 1869. There are several stories detailing the origins of Black Friday as we know it today; however, most of them are inaccurate. The most popular one is based on stores operating “in the red” (at a loss) all year, until the day after Thanksgiving when they “go into the black” (earn a profit) thanks to zealous shoppers. While there may be some truth to this tale, it isn’t the real story behind Black Friday. The real story of Black Friday has its roots in Philadelphia in the 1950s. Police in the city of Philadelphia coined the term to describe the chaos that ensued in the city each year on the day after Thanksgiving. Tourists and shoppers would flood the city to attend the Army-Navy football game that was held on that Saturday every year. As a result, Philadelphia police had to work much longer shifts to manage the crowds and traffic, as well as track down shoplifters who capitalized on the mayhem. In the 1980s, however, retailers worked to reinvent Black Friday to turn the day into something positive for them and their customers. That’s when they began promoting the “red to black” concept of the holiday mentioned earlier - associating it with great deals and holiday excitement - and moving away from the dire origins of the day. Black Friday has evolved tremendously since the 1980s. Initially, sales would run from early Friday morning until Friday afternoon. Today, however, sales begin as early as Thanksgiving Day and end the following Monday - known as Cyber Monday. In 2017, The National Retail Federation reported that Black Friday weekend saw more than 174 million shoppers - in the stores and online - spending an average of $333.47 per person. 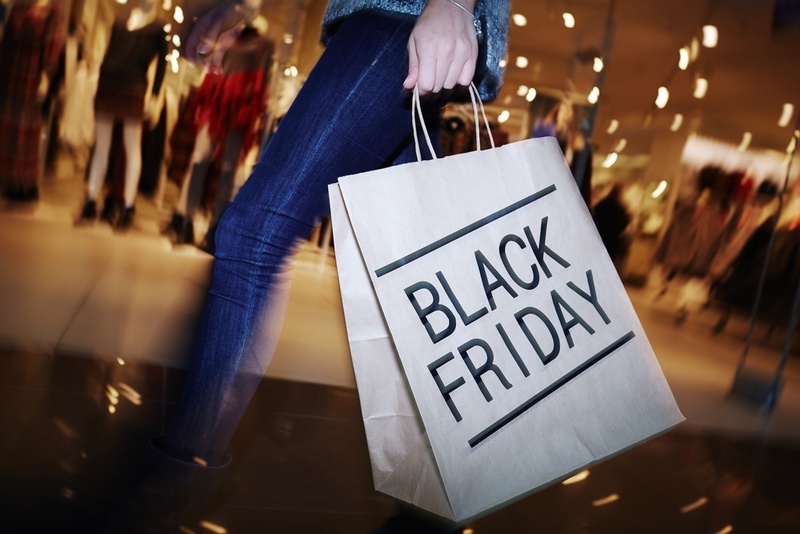 In 2018, 180 million shoppers are expected to take advantage of extreme discounts over the five-day Black Friday shopping period. Black Friday is still one of the biggest shopping days of the year, and that isn’t expected to change any time soon. Whether it starts on Thanksgiving Day or in the wee hours of the morning on Friday, it will always be a much anticipated holiday tradition for many families – and a boost for many merchants as they continue to see an increase in sales on this historic day.